Hello everyone! Hope you all having a wonderful December so far! I have a very exciting post for today. I've been looking forward to sharing this with everyone for a long time & that is my natural, affordable seaweed facial & hair mask! I first had the bright idea to create my own seaweed mask when I went swimming at Barton Springs Pool, which is a natural springs here in Austin. There's tons of seaweed-looking stuff floating around everywhere, so it made me curious about how seaweed can be helpful for skin & hair. I'm not a fan of sushi, but I do love the taste of seaweed in some dishes. 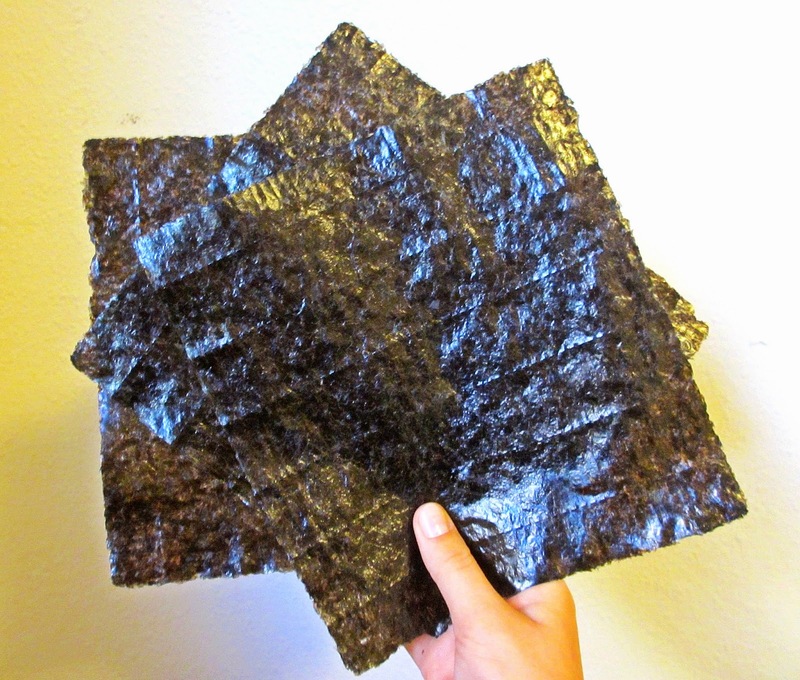 Seaweed or nori, as it's often called, is super rich in vitamins, minerals & antioxidants. It has tons of omega-3 fatty acids that contribute to the elasticity of the skin and healing acne scars. If you've been having a major breakout like me due to the stress of finals, the seaweed will greatly help reduce the size of the breakout. Seaweed helps prevent hair loss & contributes to thicker strands. 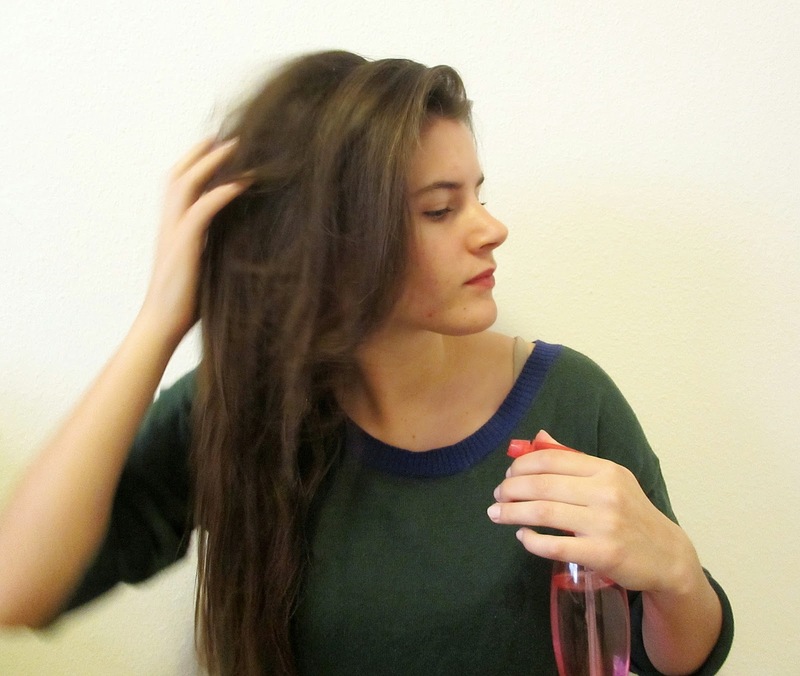 It also prevents split ends all with the help of those wonderful omega-3 fatty acids. 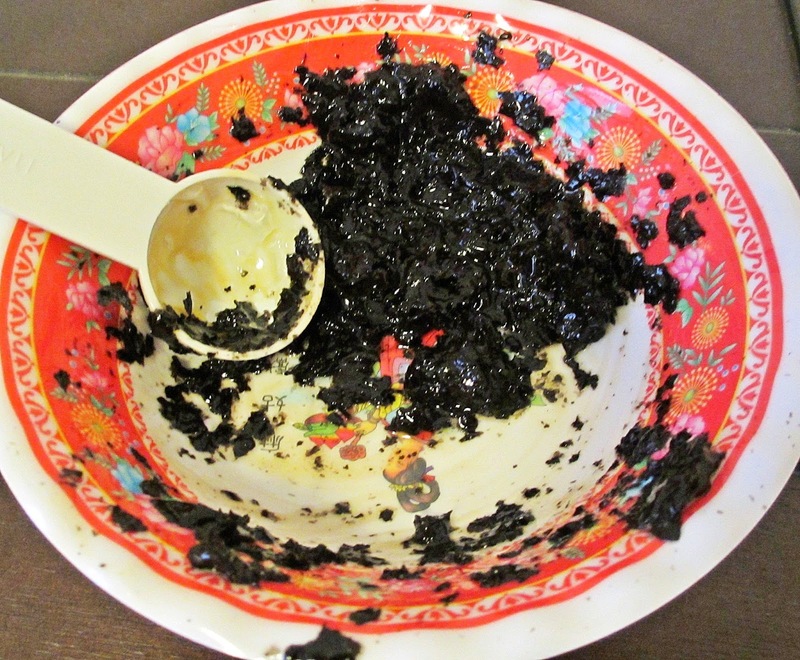 For the mask I like to used dried, non-roasted seaweed to make sure it contains all of its original nutrients. Roasted is fine too, if you don't have easy access to non-roasted. You can also use kelp powder if you have access to that, which is seaweed in powder form. 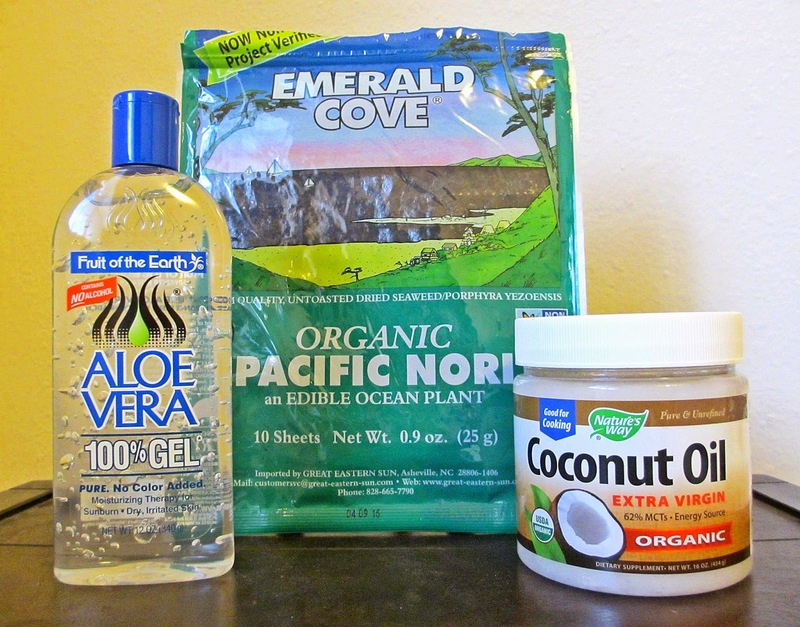 Along with the seaweed, I add some aloe vera because it has amazing benefits on skin & hair. It helps with hair growth by stimulating the scalp & works the same way with skin. It decreases acne scars, moisturizes & gets rid of bacteria collected underneath pores that contributes to future acne. I also add some honey to the mask to give it a smoother texture for application. Honey helps moisturize & repair damaged hair. It also has several nutrients that get rid of acne & give the skin a healthy glow. Start by grinding the sheets of seaweed as fine as possible. The finer, more powder-like the consistency, the less messy it will be. Add the aloe & honey to the mixture, stirring very well until it has a pasty consistency. Start with clean skin & massage the mask all over the face & neck. The seaweed will help exfoliate the skin, opening the pores for all the nutrients to work their magic. Leave the mask on for about 10-15 minutes & rinse with warm water. Follow up with your favorite moisturizer. For hair, just add a tablespoon of coconut oil to the mixture. 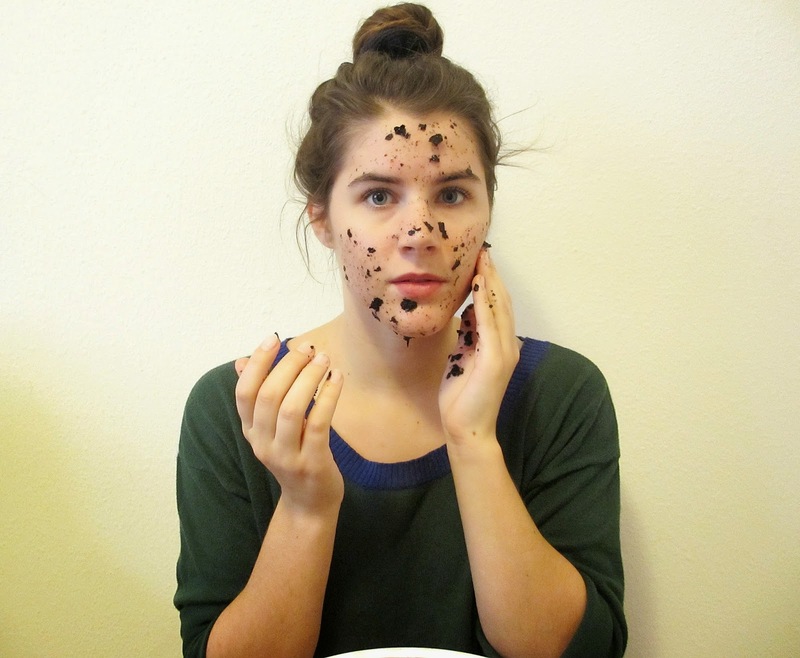 I prefer doing this hair mask with day old hair because you'll have to wash out the mask. Start off by dampening the hair with warm water to make the mask easier to apply. This will also help the ingredients absorb into the scalp & hair follicles. Make sure it's not dripping wet, but lightly saturated with water. Massage the mask into the scalp & work it down the shaft of the hair. Pay special attention to the scalp & tips of the hair where there could potentially be split ends. Make sure to disperse the mask, depending on if you have any leftover. Proceed by putting hair in a braid or bun, to keep it out of the way. You can leave the mask on for 20 minutes to 5 hours depending on how much free time you have. I typically choose a lazy day to apply the hair mask, so I can leave it on while I stay home. Proceed by rinsing it, followed by shampooing the hair like you normally would. You should immediately notice extra shine & volume from the mask. I choose to do a deep conditioning mask like this one around every 2 weeks to get good results. 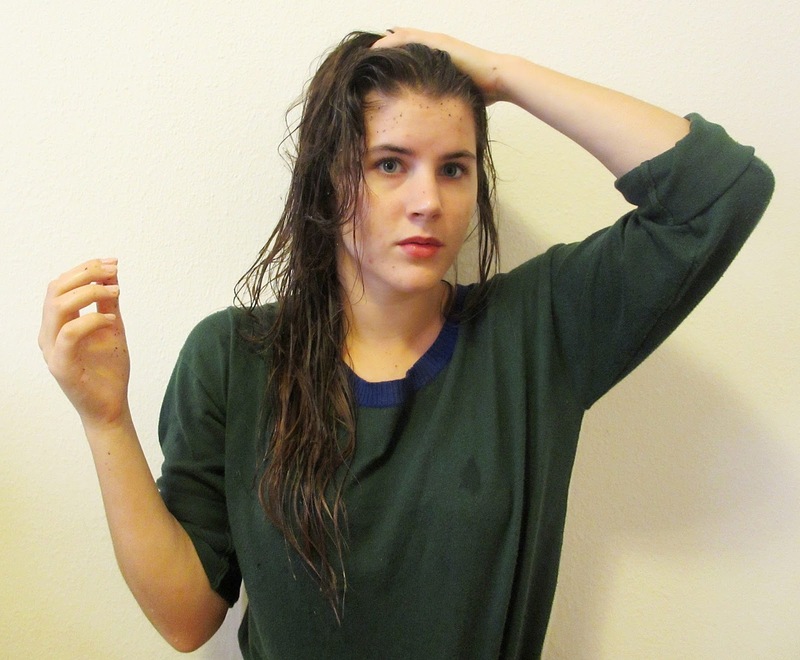 For more information on deep conditioning, here's a post I did about it! I found dried seaweed at Whole Foods in the international food section. You can find it at your local grocery & health foods store or get it here. Hope you enjoyed this skin & hair mask!